Scott Hanish - CEO/Owner was born and raised in Scottsdale, Arizona. He led his high school to a State Championship and Top 5 national ranking in baseball before being an elite college player. 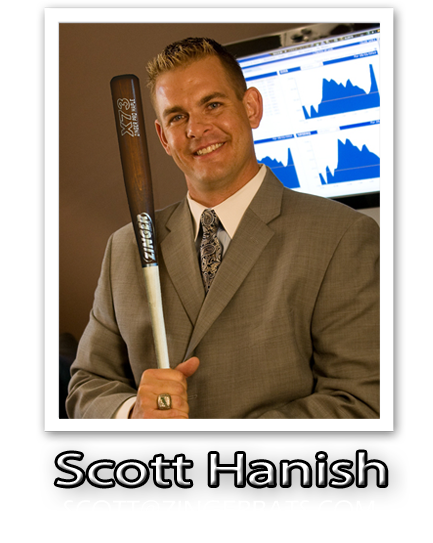 Graduating from Florida International University in 1998 with a degree in Business Management, he briefly played Independent baseball before starting his own Independent Investment and Wealth Management firm, Scott Hanish LLC. Over the past few years, Scott has created and sold two Real Estate portfolios in Arizona, along with continuing his investment business. Scott has also stayed active as a player, playing full seasons in 2005 in the Golden League and in 2012 in the Freedom Pro Baseball League. Purchasing Zinger in early 2012 was a way for Scott to combine his love for baseball and his business experience into a venture that would keep him involved in a game he has so much passion for. The goal for him is simple, focus on quality and customer service and the rest will take care of itself.  Scott has enjoyed reintroducing Zinger Bats into professional baseball and again making Zinger Bats a brand name that stands for quality and reliability in the minds of players. Chad Harding was born and raised in Bountiful Utah. 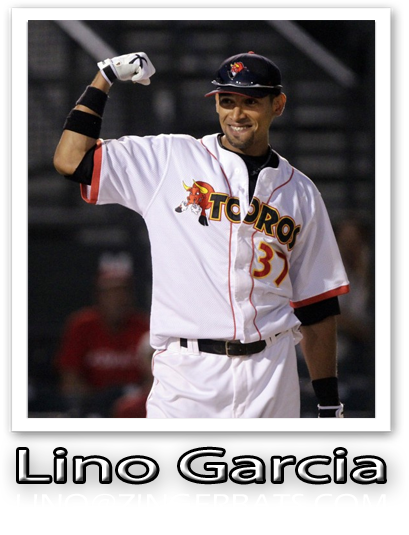 He attended and played baseball at Salt Lake Community College. Chad worked for Zinger Bats and the Eastman family for two years in Utah. When the company was moved to Chandler Arizona in February 2012, he accepted the position as head of bat manufacturing and shop foreman and relocated to Arizona. 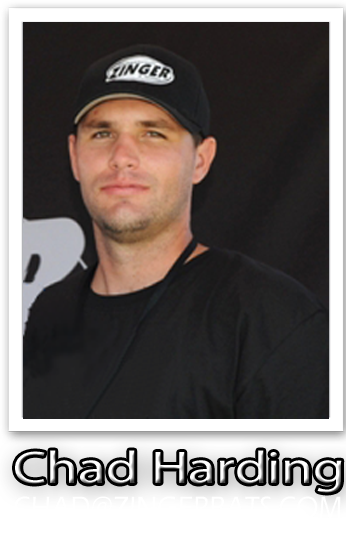 With his attention to detail and superior work ethic, Chad is focused on bringing Zinger back to be considered one of the premier wood bat suppliers in the country for all ages. He is excited to be part of the Zinger family and the continued success that Zinger Bats strives for. 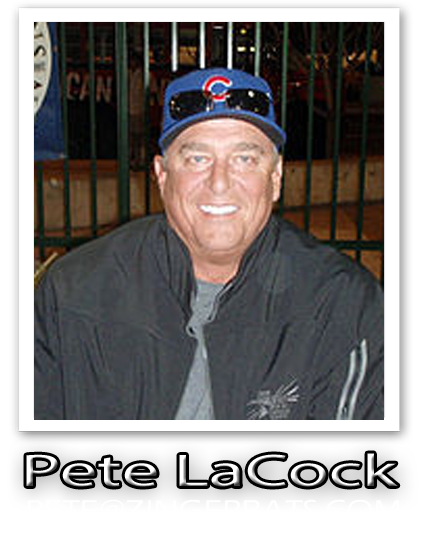 Pete LaCock, a former Major Leaguer and first round draft pick of the Chicago Cubs, serves as a special consultant for Zinger Bats. He will help us not only with brand awareness through his vast baseball network, but is also excited about the opportunity to help with product development and player recruitment. Pete’s professional baseball experience spans the last 40 years as a player, hitting coach, and manager. We are extremely excited to have Pete as part of the Zinger team! The Eastman Family: Zinger Bat Company was founded in 1998 by Kelly Eastman, a life-long wood worker. He had a passion for baseball that he passed onto his sons. All young ball players themselves, Kelly looked into the techniques of making wood bats for them. Within a few months, he was taking orders from other locals and, as the story goes, Zinger Bat Company had begun. Realizing the technology was there, he developed a production process and acquired top-of-the-line equipment that was ground breaking for its time. His desire to have nothing but the best product leaving the shop has been instrumental in the great name that Zinger has throughout the ranks of baseball. Since the company’s move to Arizona, Kelly and his wife Charlotte, along with their son Trevor, continue to be great assets to the company as special consultants. We are very grateful to them for all of their support.